There is a clear sense now that the clock is ticking down on Wayne Rooney's Old Trafford career. Rooney's stellar and trophy-laden 13 year spell at the club looks to be moving towards it end after a struggle for regular first-team matches so far this season. The United captain has previously said that he will not play for any other English side other than us or Everton and has been strongly linked with a move to China in recent weeks. Jose Mourinho has not ruled out the prospect of any imminent transfer for Rooney, but any deal looks likely to happen at the end of the season. Talks have been held with Tianjin Quanjian and their World-Cup winning coach Fabio Cannavaro, but did not progress. The lure of a final flourish overseas, coupled with the large payday that would bring, will be too good for Rooney to turn down. Less than a month after Rooney eclipsed Sir Bobby Charlton to become the club's record goalscorer, the United boss delivered a similar response to that when questioned on the futures of Morgan Schneiderlin and Memphis Depay. The out of favour duo left United in January and, with 549 United appearances and 250 goals to his name, Rooney now seems certain to suffer the same fate. He's contracted to the club until 2019 and previously hinted at seeing out his current deal, but a lack of game time and niggling injuries have hindered his progress. He's known to be coveted by the mega-rich Chinese Super League, who would offer vast sums of money to add the England captain to their ever expanding alumnus of overseas stars. Demba Ba, Carlos Tevez, Oscar, Hulk and Graziano Pelle all joined the exodus east to ply their trade in China. Wazza plans to retire from international duty after next year's World Cup with the incentive of becoming England's most-capped outfield player. A move to China, coupled with ever-emerging young talent for his place in the England team, would make that doubtful. 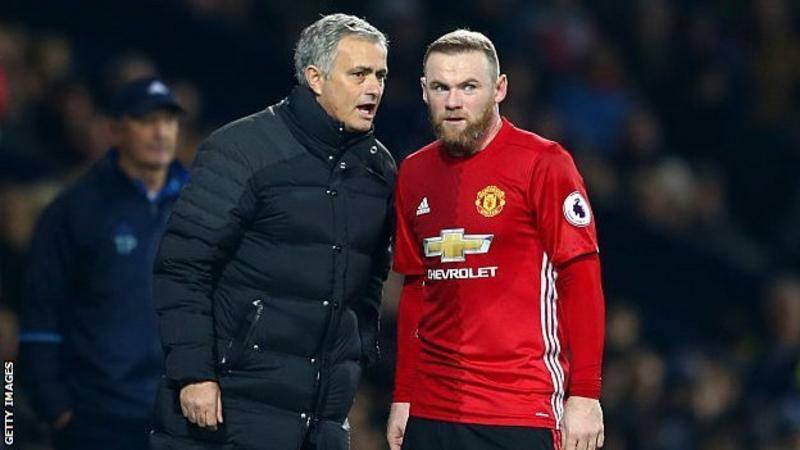 Four years after he threatened to leave United under Sir Alex, the reality is that it's a case of it, not when, Rooney leaves Old Trafford for good. There's one major trophy missing from both Rooney and United's decorated collection - the Europa League. With the Reds still fighting on all four fronts, it would be a fitting end for one of our greatest ever players to bow out having lifted the trophy in Stockholm in May.